The Christian Association of Nigeria says it has not endorsed the presidential ambition of the Ekiti State Governor, Ayodele Fayose. The national leadership of the Christian body, in a statement on Thursday, described its reported endorsement of Fayose for President in 2019 as a farce. It urged the public to disregard the report. Adegbite said, “It has come to our notice that it is in the media that our secretariat wrote a letter endorsing the candidature of Governor Peter Ayodele Fayose of Ekiti State for President come 2019. “This is a farce and should be completely disregarded by all and sundry. 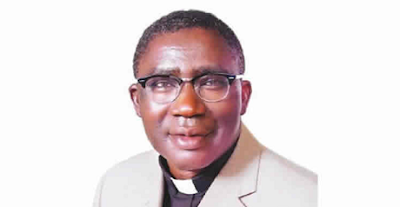 “CAN, as we all know, is the umbrella body of all Christians in Nigeria; so, how on earth can the organisation come out to support or endorse the candidature of anyone? “What we do as a body is to pray to God to choose leaders that will do His will and bring comfort to His people through good governance and counsel where necessary. We don’t endorse candidates, we have never done that and we do not intend to start that now.